Scott Thomas Zachry died unexpectedly on November 19th, as a result of an opioid overdose. He was born and raised in Napa, and was baptized and confirmed in Christ at St John’s Lutheran. 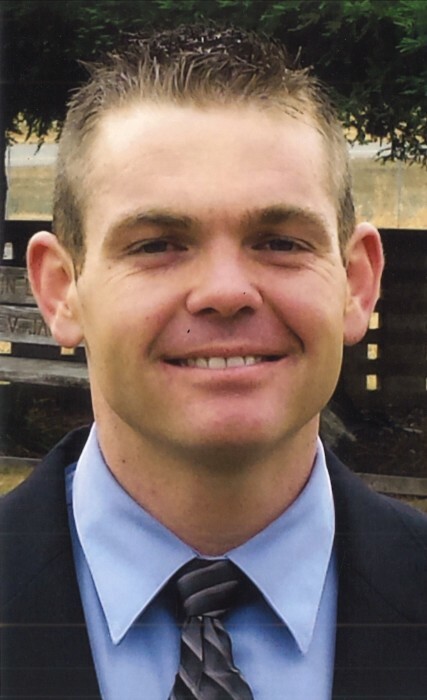 He attended Mt George Elementary, Silverado Middle School, and graduated from Napa High School in 2004. He was proud to be a Napa High Indian, playing both football and baseball. He cherished many memories of hunting and fishing and archery tournaments that he shared with his Father, Jerry. In his 2nd year of recovery, Scott owned his indiscretions, and through his adversities Scott always had a smile on his face. He loved working out and riding his bike to the gym at 4:30 every morning rain or shine. He nicknamed himself “The Quadfather”. Scott had a great work ethic, and loved working for Zellers Ace Hardware. He always embraced those less fortunate and was often found offering a meal or money to those in need. Mantras that he wrote down and lived by were, “Love, Give Back, Forgive, Be Happy, and Never Give Up.’ As well as “Its ok to be yourself”. He is survived by his parents Jerry and Karen Zachry and Sister, Katie Zachry, Grandmothers Sandra Clark of Redding, and Yvonne Westberg of Napa. As well as numerous Aunts, Uncles, Cousins, Nieces and Nephews. A memorial service is scheduled for Tuesday, November 27th at 11am at Tulocay, Napa CA. This will be preceded by a viewing from 9am – 11am, where friends and family can gather to say their goodbyes. The Family has been blessed and is thankful for all of the support and encouragement from family and friends through all the trials and tribulations. God Bless you all !